MediaCom has won Media Agency of the Year and The Guardian was crowned Sales Team of the Year. MediaCom beat last year’s winner Goodstuff Communications, Manning Gottlieb OMD, OMD UK, PHD and the7stars at the 2018 Media Week Awards, the most prestigious awards in UK commercial media. The judges recognised MediaCom for its strong business performance, including winning an expanded brief from Sky in a £300m media review, its partnership work and its investment in mental health initiatives for staff. The Guardian triumphed over last year’s victor Channel 4, Digital Cinema Media, ITV, Primesight and Twitter. The judges picked The Guardian for its partnership work, its willingness to tackle fraud in the digital media supply chain, its cost-saving move from Berliner to tabloid size to underpin its investment in sustainable, quality journalism, and its decision to collaborate with rivals on The Ozone Project. 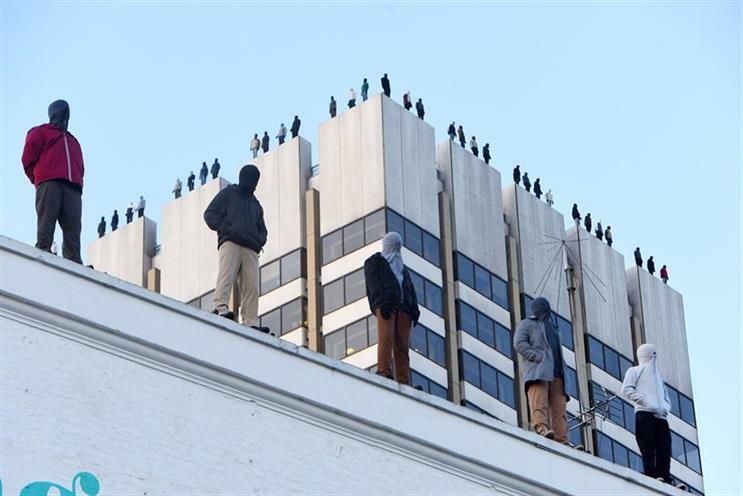 ITV won the Grand Prix and picked up three other gold awards for Project 84’s CALM, the Campaign Against Living Miserably’s work to highlight male suicide, which involved putting 84 statues on top of ITV’s London headquarters. Hearst UK won Media Brand of the Year, beating Channel 4, Digital Cinema Media, ITV2’s Love Island, Ocean Outdoor and Twitter UK. Mike Cooper, the global chief executive of PHD, was named Media Leader of the Year, a new award in association with The Lighthouse Company, during a year when his agency won the global HSBC media account, began work on the expanded Sainsbury's-Argos business and pioneered "rhythms" planning. Manning Gottlieb OMD was the most awarded media agency with three golds. They included two prizes for "Hell-Spot Media", a radio campaign for Virgin Trains that micro-targeted car drivers by location in traffic jams, which picked up Best Media Innovation and Best Use of Audio in association with Radio Centre. ITV was the most awarded media owner with three golds, plus the Grand Prix, ahead of Channel 4, also with three golds. An audience of 1,000 people from brands, agencies, media owners, tech companies and trade bodies gathered for the black tie dinner at the Grosvenor House on London’s Park Lane. Pippa Glucklich, the chief executive of Denstu Aegis Network’s Amplifi, and Naren Patel, the chief executive of Primesight, were co-chairs of judges. Glucklich said: "The standard of work we witnessed across all categories was exceptional. "At a time when it’s so easy to be distracted by new bells and whistles, these awards are a great reminder and celebration of what fundamentally makes for great media thinking and delivery. Patel said: "We had the opportunity to visit many agencies and media owners in the Team of the Year awards and we saw that we are growing and developing some amazing award-winning talent in every corner of this industry. "Great people make our business what it is. The appetite for working harder to address the likes of the gender pay gap and making our workplaces more diverse and inclusive is crystal clear. We owe it to everyone to match this appetite with action." Wavemaker won Best Agency Partner, a special award sponsored by Reach Solutions, which recognised the agency that worked best as a partner with media owners to develop great partnerships. Goodstuff Communications, Havas, MediaCom, Manning Gottlieb OMD and OMD UK were also shortlisted for Best Agency Partner. GOLD: Age UK "Old People's Home For Four-Year Olds at Christmas"